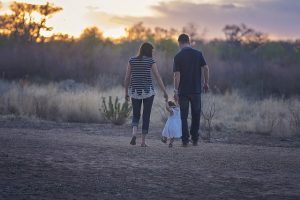 In Ireland the non-marital family differs from the marital family especially concerning the parent’s rights and status regarding their children. A married father has joint custody of his children and is also their joint guardian. A natural (unmarried) father does not have these automatic rights and must apply to the Courts for them. In a non-marital family, at the time of birth of the child, the mother is the sole custodian of the child and also has sole guardianship. The natural father does not have either of these rights automatically but does have the right to apply to Court for same and can make these applications in the District Court. Unfortunately, in the times we live in, relationships appear to have a shorter life span and many fathers are unaware of their rights upon the breakdown of the relationship. This can lead to them not seeing their children for periods of time if this cannot be agreed with the mother. It should always be borne in mind that the central principle is the welfare of the child and the Court must solely consider what is in the child’s best interests. Therefore, access to a child is not the parent’s right it is the right of the child and should be considered when a Court application concerning the child is before the Court. We will discuss each application that can be made in the District Court in the subsections listed under ‘Family Law’. Married people who have separated can also make certain applications in the District Court and this can be a quicker and less expensive process then proceeding to the Circuit Court for a judicial separation or a divorce. The District Court cannot make any orders relating to the family home and therefore is only a short-term solution to the aspects of living separate and apart.